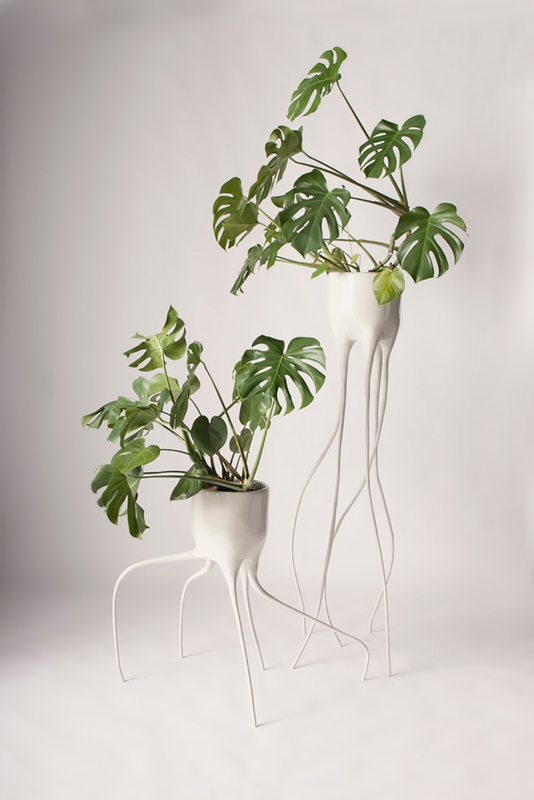 During Dutch Design Week 2014, the elegant plant pots Monstera Magnifica and Monstera Fugiens at Design Perron attracted great public attention. 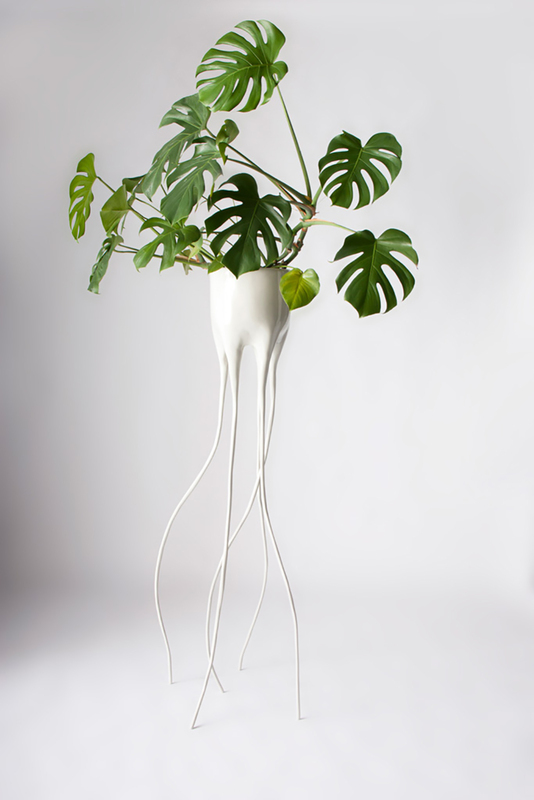 With his Monstera series, designer Tim van de Weerd has created a new kind of plant pot that enables plants to break free from the window sills and resume their natural freedom. 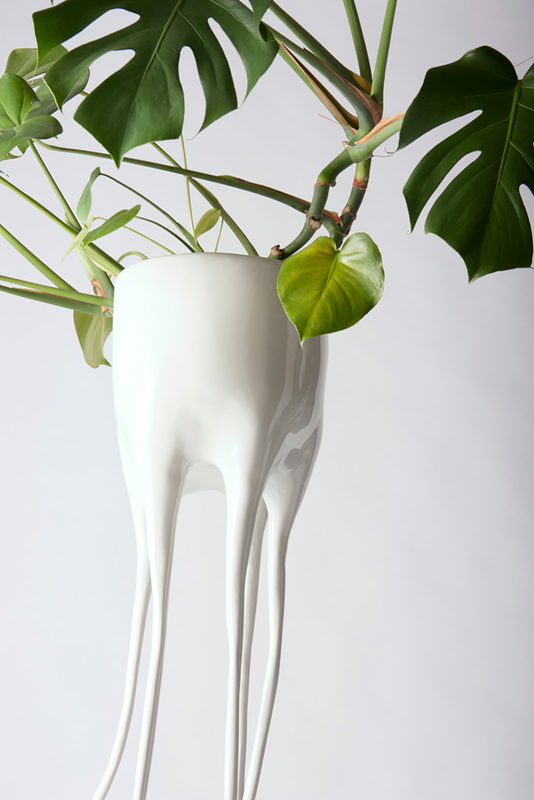 In this way, each Monstera plant pot forms with its graceful roots the extension of a plant. 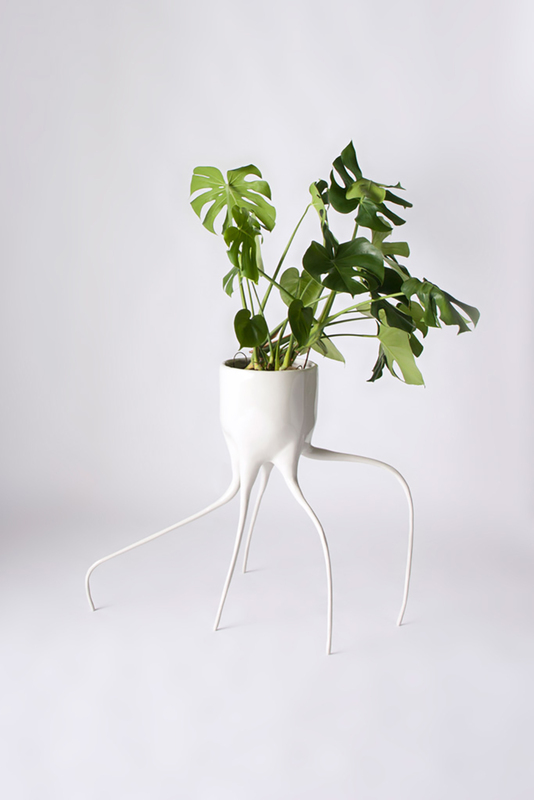 The design throws a new light on the traditionally rigid and depressing plant pot. 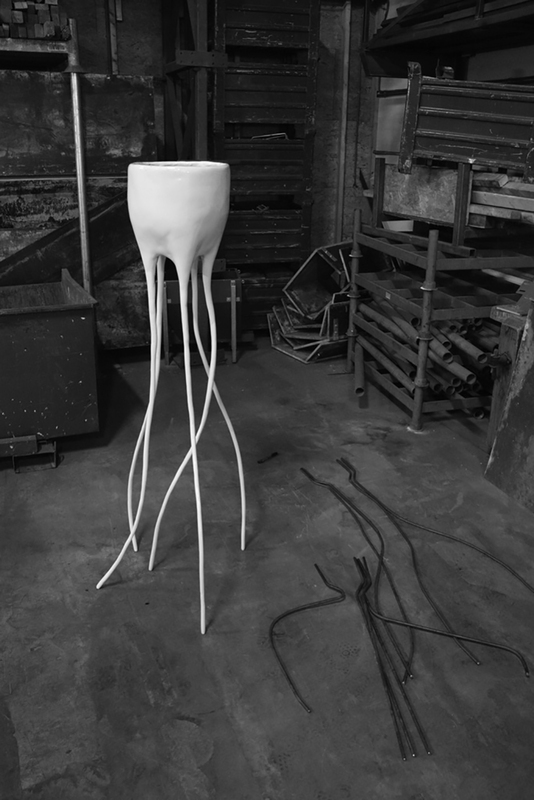 Designer Tim van de Weerd likes working on the cutting edge of craft and technology: the organic roots are curved by hand, covered with epoxy clay and finished with a thick layer of white high gloss paint. 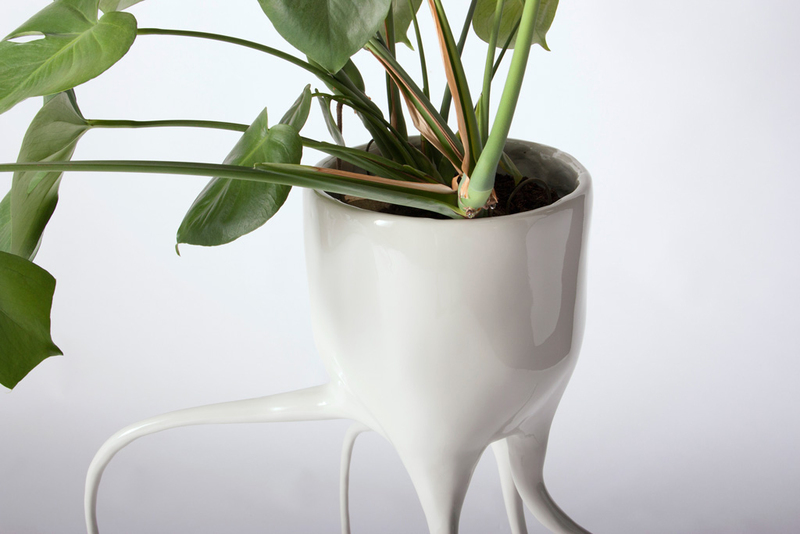 The Monstera design has a fragile look, but it is surprisingly strong and stable thanks to the chosen finishing method. 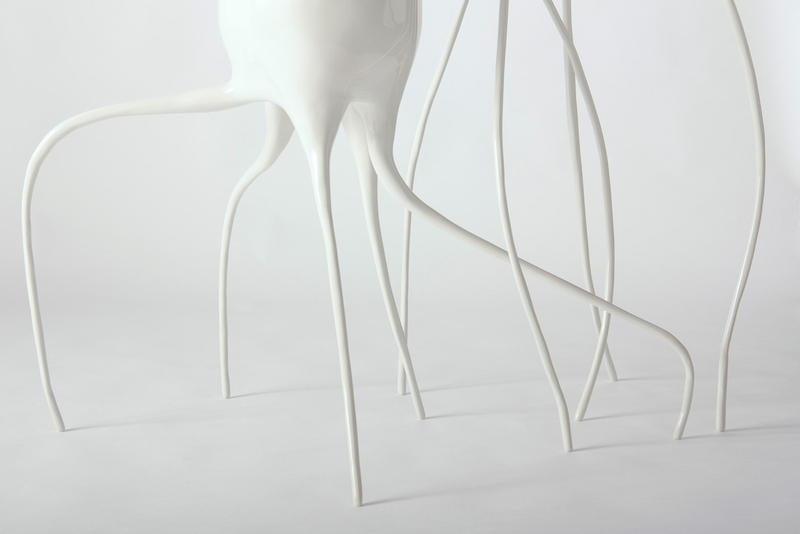 This subtle, fascinating tension is characteristic of all furniture, objects and interiors designed by Tim designs. I’m looking for a producer for this hand shaped object.